…wishes you a Merry Christmas and a Happy New Year! May your holidays be filled with family, friends, and fun. This entry was posted in [No taxon] and tagged holiday. Bookmark the permalink. 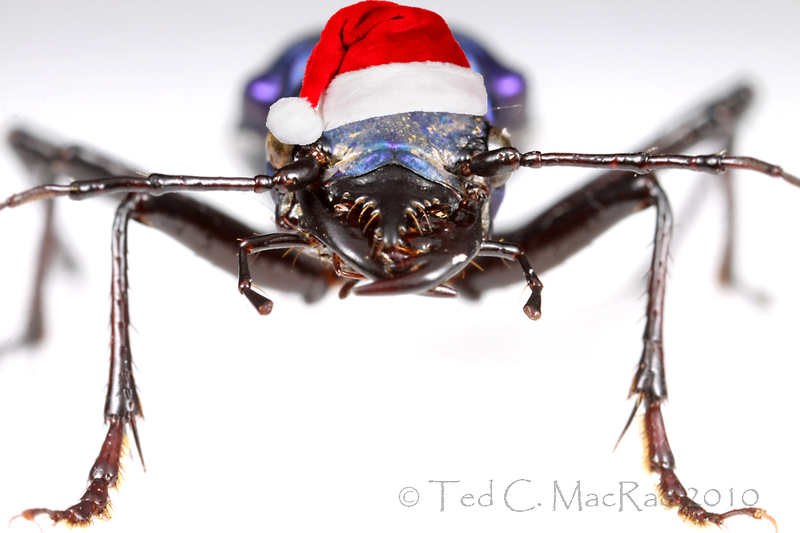 And happy end of this human calendar year to all insects in south and north hemispheres. May all species continue to prosper and maintain proper challenges. And of course, thank you Ted for continued blogging! Santa is very shiny, but a little terrifying 😛 Merry Christmas! How did you get it to stay still long enough to put the hat on? Awesome! Hope you had a Merry Christmas!